A good start: this is the one sake in the lineup I would drink, not because I love it, but because I don't dislike it, and it aligns best with my personal tastes for drier sake. It's clean and simple, with a light rice taste and no fruitiness or standout flavors. On the plus side, there aren't any off notes of the type that have long plagued U.S. sake, and it doesn't taste alcoholic. If you served it to me blind at a sushi bar, I wouldn't sing its praises, but I'd finish the glass, and that's something. This is called "medium dry" and that is, literally, the sweet spot for most of Japan's greatest sakes, which are neither bone dry or very sweet. Unfortunately this is the weakest in the lineup: it smells like hair tonic and tastes alcoholic. My wife said if she had to drink one Momokawa sake, because Japan was wiped out by a combined Godzilla-Mothra-Gamera invasion or something, this would be her choice, "because I really hate the others," she said. This is lightly sweet like croquettes are lightly fried. It's too sweet for me to consider with a meal, though not quite sweet enough -- and not near delicious enough -- for a dessert drink. It also tastes alcoholic. My wife has a sweet tooth, usually likes much sweeter sake than me, and says this is too sweet for her. I'm not a nigori sake drinker. 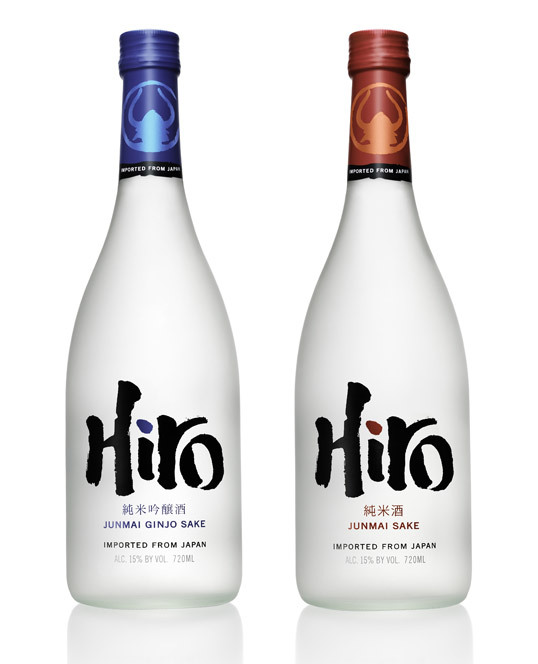 It's the White Zinfandel of sake, a sweet introduction to the beverage that benefits tremendously in the U.S. by being incorrectly called "unfiltered" on sake lists. This unearned "natural" cache gives Americans cover to have an alcoholic milkshake with their raw fish. 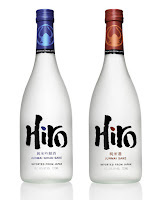 I'd rather convince U.S. wine drinkers to try sake for grownups than boost the already hot nigori market. But to be fair to this sake, it tastes less alcoholic than the Diamond or Ruby even though it's 20% higher in alcohol. It's sweeter than most Japanese versions, but plenty of Americans drink Coca-Cola with dinner. Nigori is such a minor product in Japan and many Japanese breweries make it cynically for the U.S. market; a few others misunderstand what Americans want and make a drier product that must come as a shock to people expecting something like this. Momokawa at least hits market expectations with this. My wife also reports it's too sweet for her, but she's not a nigori sake drinker either. I was more forgiving of this product before I opened a bottle of Kamoizumi "Summer Snow" Nigori Ginjo (18.1%) to taste against the Momokawa Pearl. Occasionally when I write one of these "American sakes aren't at the level of Japanese" pieces I take some heat from patriots like myself. I wish those people would also try this test. You don't even need to put them in your mouth. In fact, smelling the difference, I said out loud, "My God." The Kamoizumi smells like rice; the Momokawa smells like cereal milk. It's the same on the palate. The Kamoizumi is a little sweet and nigori's not really my thing, but it tastes like rice; it has texture; it tastes like a farm product. The alcohol is well-integrated and for what it is, it's balanced. Tasted after it, the Momokawa tastes boozy, overly sweet and artificial. It doesn't taste like a farm product; it tastes like a fast-food vanilla milkshake with too much booze in it. I suppose this description would be appealing to a lot of people. Count me out. Also, my wife points out that unlike Japanese sakes, Momokawa doesn't print a bottling date on the bottle of any of these. Most Americans can't read the arcane dating system Japanese sake producers use. But they do date them, so those who can read it know what it means, whereas nobody knows how old a bottle of Momokawa is. These were press samples so I assume they were fresh. So much for made in America. Now let's see if Hiro is better than Tyku. It's very sweet. Many great Japanese sakes are sweet, but they're mostly Junmai Daiginjos. When you buy a straightforward Junmai, you expect earthiness and power, not sugar. This strikes me as a product made for what are presumed to be U.S. tastes. In fact, this is sweeter than Momokawa Ruby. I hope it doesn't succeed. There's no complexity, it's just a blast of rice sweetness and booze that seems best used in a sake cocktail. I find this sake offensive. This is also sweet, but less offensively so. It has a lighter body and more finesse on the finish than the Momokawa sakes. I don't know that I would drink it. My wife, more tolerant of sweetness, says that if it were served to her in a Japanese restaurant, she would drink it. It's her favorite of this group of sakes, whereas I went back to the Momokawa Silver and said, "If I must." We did not actually drink any of these, though. 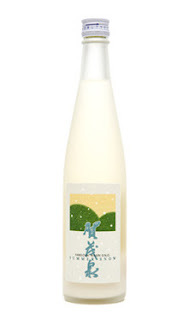 We opened a bottle of Dewazakura Dewasansan and sighed with relief at the deliciousness. Do yourself a favor, America. Buy the real thing. Blake if you look at the bottom of the Momokawa label on the reverse under the back label you will see the bottled on date which has been the case from the get go with the entire line. Given it is the #1 selling junmai gingo sake in the U.S., they must be doing something right! Kimberly: If Momokawa is the No. 1 selling junmai ginjo sake in the U.S., which I don't doubt, they must be outstanding at marketing and sales. Momokawa is the Yellow Tail of sake! Kimberly: I've still got the Momokawa Pearl bottle and I'm sorry, but I cannot find the date. Is that because it's a press sample, perhaps?